I need to sell 3 antique copper beds that have been in storage for the past 40 years. The beds belonged to my grandmother and were ordered from France when she got married in 1920. Thank you for submitting your item for appraisal. 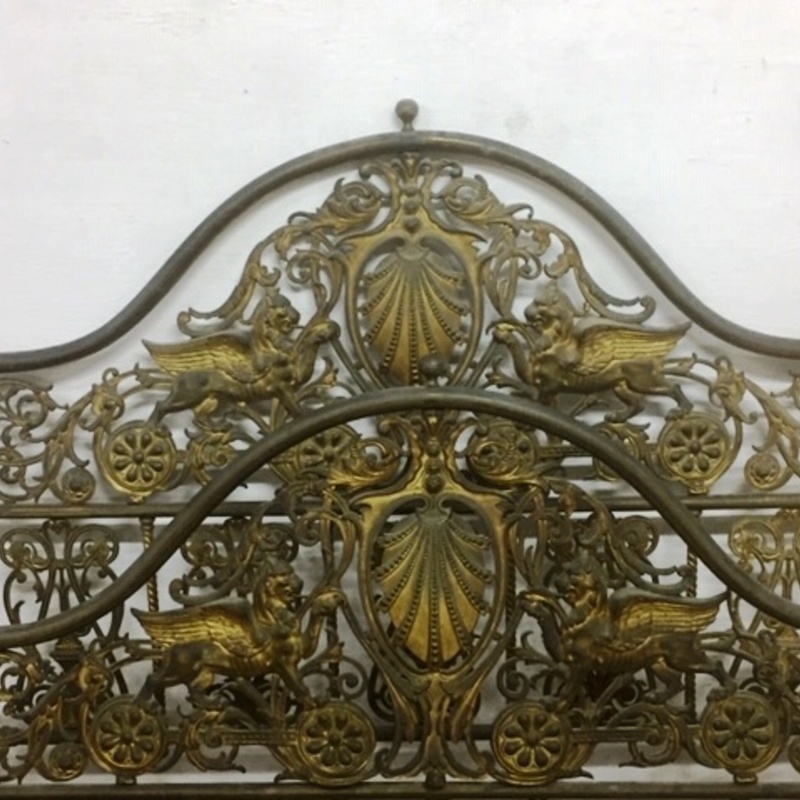 This appears to be a french partly gilt brass bed, ornately decorated with griffons, accanthus leaf, volutes and palmettes, the gilding partly worn off, even authentic patina. Production date is possibly late 19th century Napoleon III period. The design and execution is well above average. The estimate ( for a single bed ) is based on similar items offered or sold at auction. There is no measurement for the sentimental value you might attach to the item. Thank you Klaus. The bed is 140cm wide. The 2 others are single beds(1.10m) with the ribbon design.